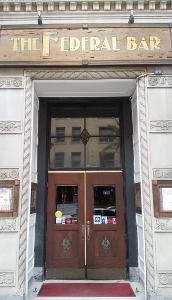 Our client, age 35, left The Federal Bar, a popular bar in Long Beach on Pine Avenue. She exited the parking lot and was heading west on Ocean Boulevard toward the 710 Freeway. It was raining lightly and the roads were wet. It was about thirty minutes past midnight. As the light on Ocean turned green, our client moved forward in her compact SUV. 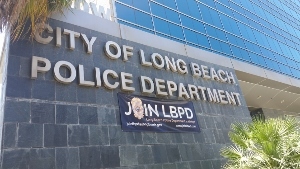 A Long Beach Police Department deputy was one car behind her and in the lane to her right. What One Should Learn from This Summary: A Motion to Suppress Evidence is usually based upon an improper search in violation of the Fourth Amendment. However, it can also be brought based on a traffic stop that lacks a proper factual basis and therefore was conducted for an improper reason, as here. Here, the judge agreed that the police officer’s credibility was poor, but ultimately granted the motion because the prosecution was unable to show the speed limit was based on a current traffic survey. Our client accelerated, but carefully because of the wet roads. As anyone familiar with the area will know, the traffic lights in this area are close to each other and phased to keep traffic slow. Three short blocks later, a mere 0.3 miles, he pulled her over, allegedly for speeding. Yet this show of power paled compared to what he wrote in the police report. The officer wrote that he observed our client accelerate to 50 miles per hour. He then caught up to her and paced her to estimate her speed. He then activated his overhead lights and pulled her over. This was all in 0.3 miles, or about 500 yards. The client was arrested and had to spend a night in jail. She missed work the following day. She was extremely upset because she knew she could not have reached fifty miles per hour, been paced and then pulled over in such a short distance. The next day, she called up Greg Hill (on a Sunday) and met with him the same day. Greg listened to her story and explained that it seemed unlikely an officer could have properly paced our client because standard protocol for pacing, as set forth by the National Highway Safety Administration, the protocol taught police officers at the police academy, is to pace a vehicle for a minimum of ten seconds. At fifty miles per hour, a car travels about 75 feet per second. So for the officer to have performed even a minimally proper pace, he would have had to follow the client’s car for 75 feet times ten, or 750 feet. That alone is over 0.1 miles. The time for our client to accelerate to fifty miles per hour, even under optimal conditions, would be another 0.1 miles and then to notice the overhead lights (to respond) and then pull over would also be at least another 0.1 miles. Greg Hill prepared a Motion to Suppress for an order excluding all evidence gathered after the stop. The motion’s legal basis was that the officer lacked a reasonable suspicion to make a traffic stop because the statements in the police report certainly were fabricated, as it is impossible for a car to so accelerate, be paced and then pull over all in 0.3 miles. At the hearing on the Motion to Suppress, the arresting officer added to his poor credibility by claiming he paced our client for a whole block. This made our client’s motion only stronger. The officer further testified that he pulled over our client because her speed exceeded the posted speed limit of 35 miles per hour. The judge then asked the prosecution to produce a current traffic survey for the area of Ocean Boulevard, to show that the posted speed limit was valid. The prosecution was unable to do so and the Court granted our motion, dismissing the case. Our client was relieved and very happy.